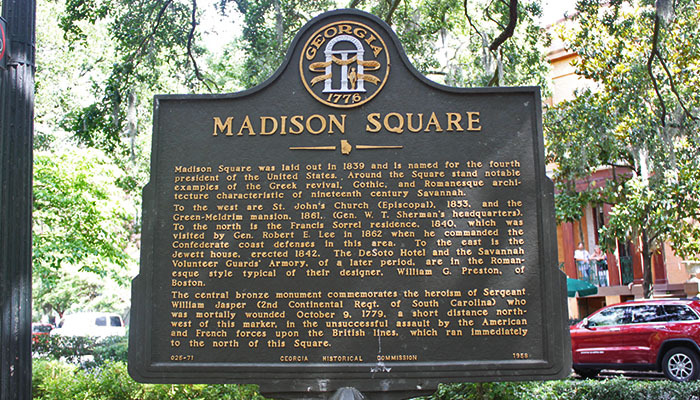 There’s a wealth to do and see in and around Madison Square, all starting with the 15- and- a- half-foot bronze monument of Sergeant William Jasper in the middle of everything. There’s a plethora of history, and even some rumored hauntings, in and around the square, as well as nice restaurants and shops. 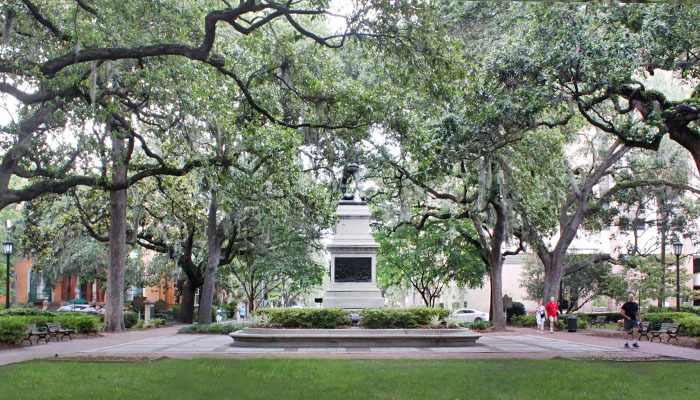 The square was designed in 1837, laid out in 1839 and around it are beautiful examples of Greek revival, Gothic, and Romanesque architecture. 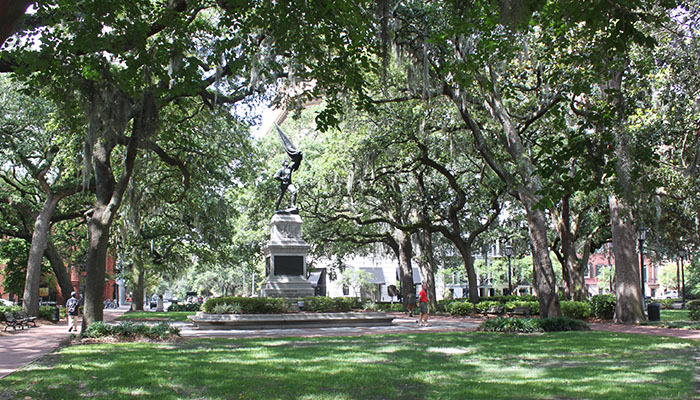 The monument of Jasper, an American soldier in the Revolutionary War, stands tall to honor the sergeant who was mortally wounded during the Siege of Savannah on October 9, 1779, just a northwest of the marker. It was designed by Alexander Doyle, a distinguished sculptor in New York, who depicted Jasper holding his bullet wound with his right hand but still standing tall with his holey, bullet-ridden had at his feet. 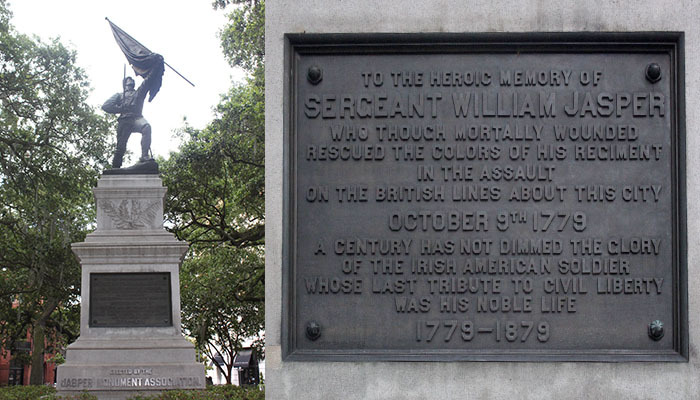 On each side of the monument’s foundation, there is a bas-relief to show the Jasper’s military career: the barricade at Fort Sullivan, where Jasper replaced the flag under heavy fire, the freeing of prisoners near Savannah, and finally, his last moments. 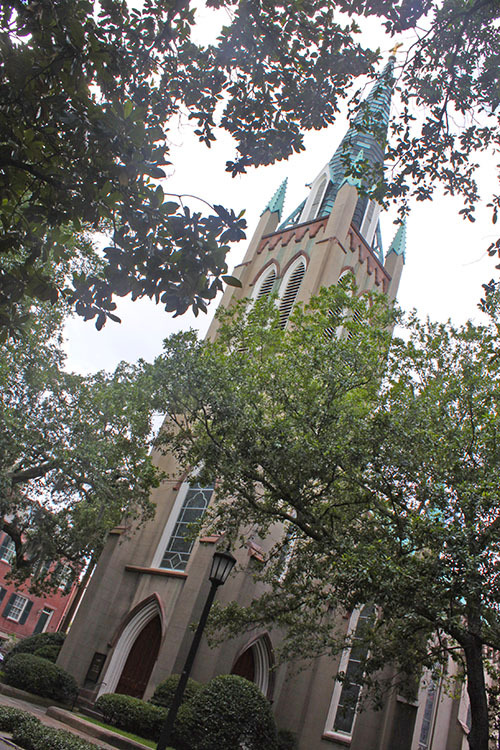 St. John’s Episcopal Church. Photo by Andrea Six. 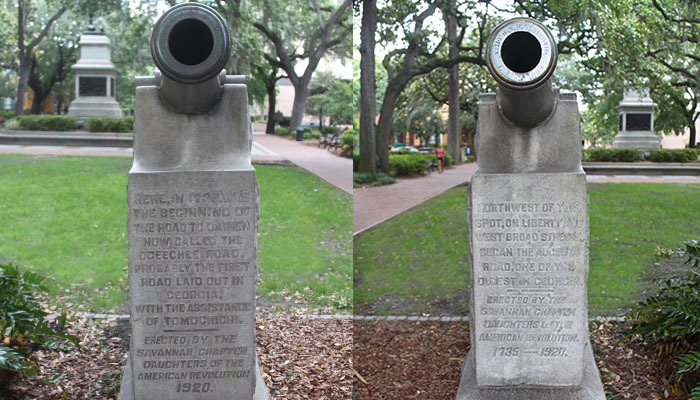 The two cannons on the south side of the square note the beginning of the first highways in Georgia – the Augusta Road and the road to Darian, now known as Ogeechee Road. 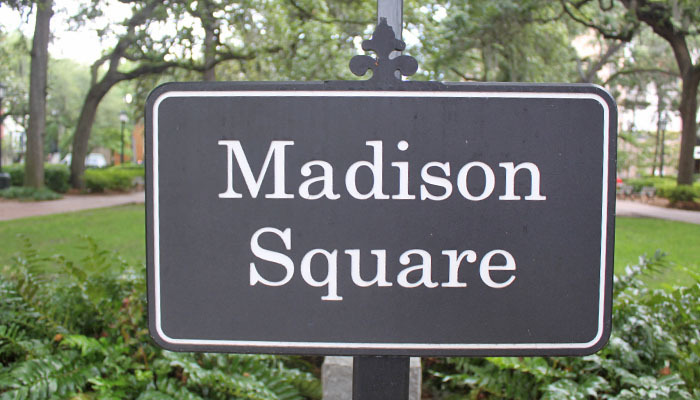 The square is in the company of Green-Meldrim House, now a museum, which was designed by architect John S. Norris of New York in the Gothic Revival style. 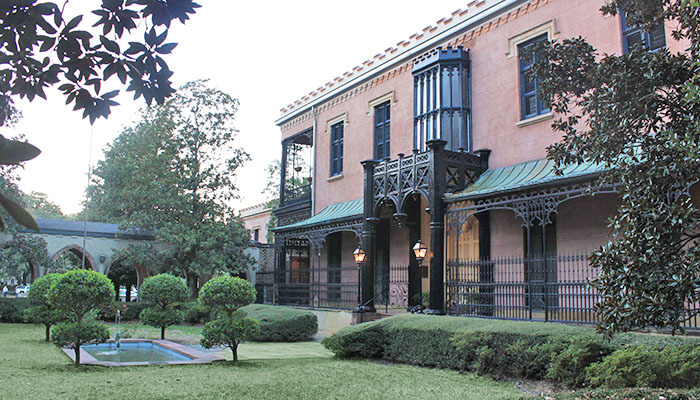 It was built in 1853 for English cotton merchant Charles Green and used by General William Sherman as a headquarters for his confederate troops from Dec. 22, 1864, until Feb. 1, 1865. 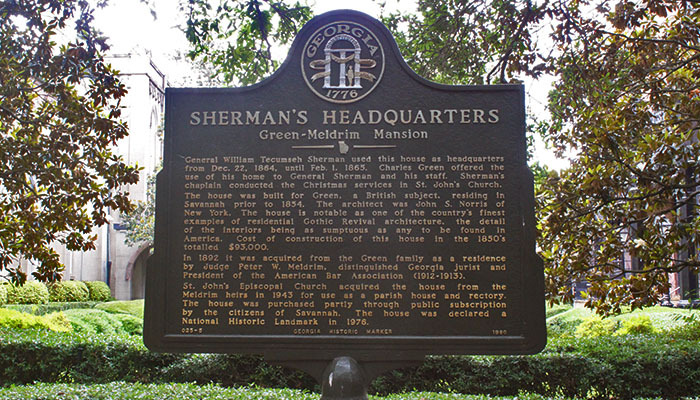 Next to the Green-Meldrim House is St. John’s Episcopal Church, which was built in 1853 from the Gothic Revival style designs of Calvin N. Otis of Buffalo of New York. 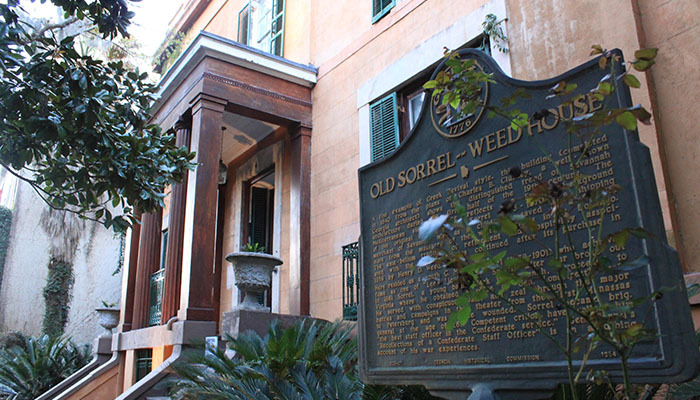 Also on the square is the Sorrell-Weed House, designed in Greek Revival style by Charles Cluskey, a prominent architect in the United States who even worked on the capital. 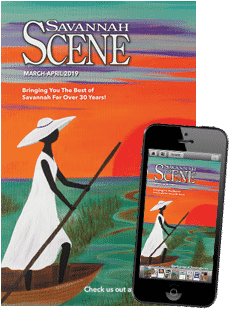 It was completed in 1840 for Francis Sorrell and many parties were thrown there, with guests including General William Sherman and Robert E. Lee.